After the monumental success of Ed Sheeran’s latest album and Rag N’ Bone Man’s meteoric rise to fame, everyone is looking for the next big thing. Here are a few singer songwriters we think you’ll be hearing a lot more of over the next year! Influenced by an array of artists from Aphex Twin to Modest Mouse, Alex Giannascoli has been making music since high school. Now, at age 22, his Bandcamp boasts twelve self-produced albums made through GarageBand and other home editing and recording software. Each album tracks his progression and growth as an artist. Giannascoli himself has confessed how his music feels “a lot more calculated now.”, going on to add that “the first album was the least calculated and then the second was a little more. It’s a steady progression”. With the help of the American independent label Orchid Tapes, he released DSU, an album that was successful in drawing listeners to explore his impressive back catalogue. More recently, the thirteen-track, weirder and darker release Beach Music showcases talent and experimentation that has intrigued new fans and old. An array of pitch-shifting, electronic beats and lo-fi guitars, his music may not be for everyone but should definitely not go unnoticed over the next year. London born Lianne La Havas started her musical career as a backing singer on tour for the eccentric Paloma Faith. 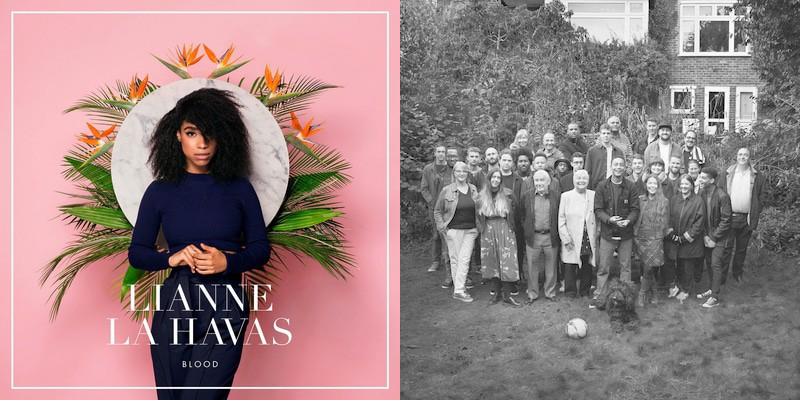 A singer, songwriter and multi-instrumentalist, La Havas spent two years working on her music under Warner Bros. Records before releasing her debut studio album, Is Your Love Big Enough? in 2012. After the album received much praise from critics, her career has only snowballed. From supporting Alicia Keyes in 2012, in a performance broadcast to over 150 countries, to earning places on huge festival line-ups such as Glastonbury and Isle Of Wight. It is a wonder how her name has avoided the limelight still, after working with the likes of Alt-J and Rudimental, but La Havas, although successful, hasn’t moved into the mainstream just yet. Now is the perfect moment to discover her music if La Havas’s soulful yet funky sound has passed you by. To anyone and everyone, I would recommend listening to Good Goodbye from her bolder yet more refined second album Blood. Released in 2015, the ten-song-triumph was inspired by her Jamaican heritage, and her return to the country with family. Fans of Laura Mvula and Corinne Bailey Rae will adore her confident yet comforting ‘Sunday morning’ music. Only recently was I introduced to Isaac Gracie’s soothingly sad yet warm vocal tones, but without hesitation I became a huge fan. Gracie made a name for himself after releasing a demo titled Last Words that caught the attention of industry leaders and fans alike. The track was recorded in his bedroom using only Apple’s basic GarageBand software, but this is precisely what makes it so raw and promising. In March last year, he released his debut EP, Songs From My Bedroom, a release so well crafted and pure that every festival across the country is desperate to book him to play this summer. It’s hard not to be moved by Gracie’s music, as each song feels like a confession. His music is clearly so personal to him, as Gracie often in interviews doubts his own talent and self-criticises. But this tortured modesty is part of his appeal, and surely partly stemming from how quickly he has been thrown in the metaphorical deep-end in regards to his career. “It’s very rare to be put in a position where you can go from nought to 60 like that and be thrown in at the deep end and challenged to swim. If you’re a person who sets high expectations for yourself and are also aware of how things can go wrong, it’s a perfect storm in a way,” he told the Evening Standard. His rise from Soundcloud to stage has certainly been a fast one, so who knows what the future holds for an artist with a ‘vast voice’ and his ‘heart on display’? Making music labeled as ‘sensitive and eloquent’ by NME Magazine and ‘confessional hip-hop’ by The Guardian, Loyle Carner is another solo artist featuring on almost every festival line up for summer 2017. His debut album, Yesterday’s Gone, was released barely two months ago but has proved critics promise of his talent and potential. It opens with a magnificent gospel choir, and features a poem about himself, recited by his mum- he is both laid back and unconventional. Since playing his first official gig in 2012 as the supporting act for rapper MF Doom, Carner has earned his place on the smaller stages of Glastonbury festival. Without doubt, this is a telltale sign of an artist on the path to success. Drawing on the experiences of growing up in London and the death of his stepfather, Carner’s lyrics explore the issues closest to his heart. The focus on family, and dealing with adulthood resonates in his music, with both sincerity and slight comedy at times. It’s not all deep, dark and intense. Which solo artist do you think will be the next big thing in music? Let us know in the comments! Love music? We’ve got 1000s of albums from just £1.19 right now! Just click below to buy vinyl and CDs! More and more singer songwriters are breaking into the industry these days, and it’s testament to the explosion in user-generated content we’re seeing take over the world. YouTube, Spotify, and SoundCloud are now all legitimate ways to get your tracks noticed – even Isaac Gracie’s GarageBand set!